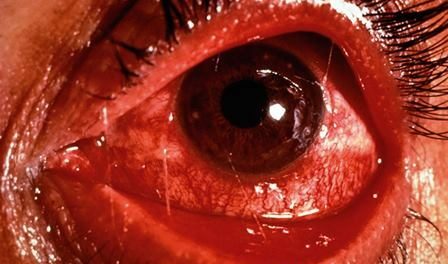 The Caribbean Public Health Agency (CARPHA) says it is monitoring reported outbreaks of conjunctivitis (red eye) at health facilities and medical practices in several Caribbean islands. In a release, Dr Virginia Asin-Oostburg, director, Surveillance, Disease Prevention and Control urged people to take the necessary precautions to prevent and reduce the spread of this illness. CARPHA said conjunctivitis referred to inflammation of the membrane covering the whites of the eyes and the inside of the eyelids. The congestion of blood vessels in this membrane gives rise to a reddened appearance and explains the more common names “red eye or pink eye.” The most common causes of conjunctivitis are viruses, bacteria, and allergens. Viral and bacterial conjunctivitis are very contagious and can spread easily from person to person. Eye symptoms can include, redness, irritation, itchiness, production of excessive tears, clear or yellow discharge that may make the eyelids stick together, especially on mornings, and swelling of the eye lids. CARPHA advised members of the public to practice good hygiene. They advised people to avoid close contact with those with conjunctival symptoms, keep unwashed hands away from face and eyes. Also avoid sharing personal items such as pillows, wash cloths, towels, eye drops, eye makeup, face makeup, makeup brushes, contact lenses and, contact lens containers, or eyeglasses and disinfect frequently- touched surfaces in common areas, (for example doorknobs, counter-tops in shared spaces). When contacted Dr Kaiawa Clarke, medical doctor in the ophthalmology department at the Port of Spain General Hospital, said he was aware of the release from CARPHA and indicated that he had not seen an increase of people at the hospital with conjunctivitis. “I cannot really say I have seen an increase in conjunctivitis patients coming in Port-of-Spain at least right now. Usually when it is in season three or four people will come in per day and I can’t remember when last I saw a conjunctivitis patient.” Clarke said with conjunctivitis, the main thing to reduce the spread of it, is hygiene because it is very infectious. He said there was a need to do a lot of hand washing, and washing of pillows to really reduce the risk, “Once you get it you just have to run its course, and there is no real treatment to stop it.” He continued, “Some people can have conjunctivitis for a week, or three weeks and if it is a complicated viral conjunctivitis, you can actually have problems for a couple of months afterwards.